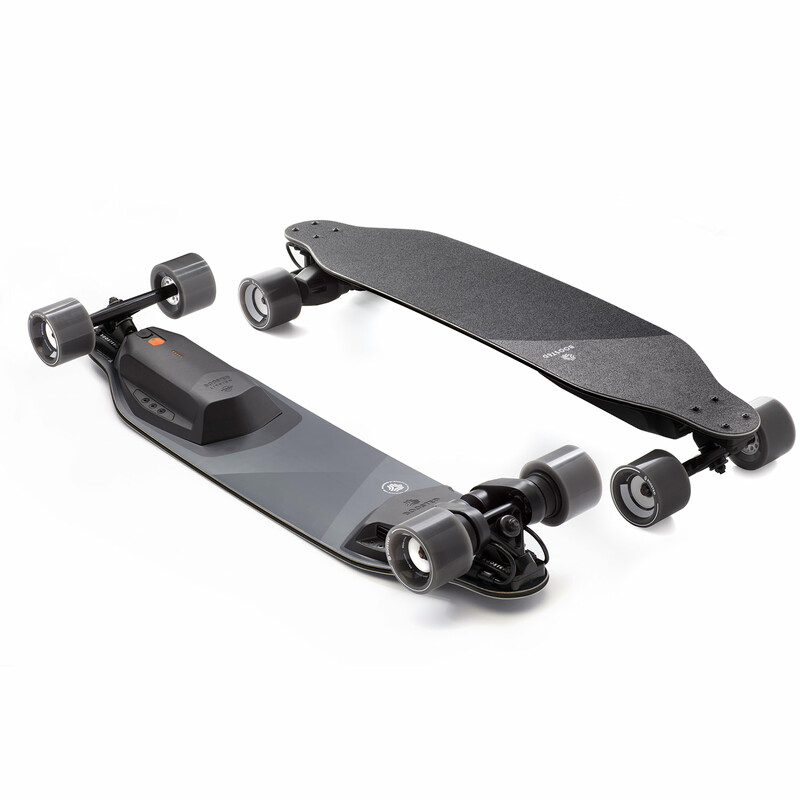 The Boosted Stealth is their brand new high-performance electric longboard. They built it from the ground up with custom everything! There is a new Stealth-exclusive ride mode which offers a higher top speed and lightning-quick acceleration. Perfect for those torque junkies out there! Boosted utilized build techniques and processes used in snowboard manufacturing to create a board that has sleek and refined feel while maintaining it’s renowned board-flex and vibration absorption. The Stealth is kitted up with an upgraded drivetrain mounted to CNC precision trucks and Boosted’s custom-designed 85mm Stratus wheels. For the ultimate in electric skateboard technology and performance, look no further than Boosted Stealth.